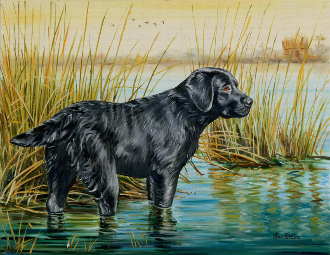 This Black Labrador on the Chesapeake Bay is available as a limited edition Giclee print, signed and numbered by Jane Partin. Copyright © 2011-2019 Jane Partin Gallery. All rights reserved.